It is important for Golf Clubs because in FootGolf, the same as in Golf, course design is critical to have a layout that is attractive and challenging for competitive players while it is also accessible for social players. A well designed course makes players want to play again and again. 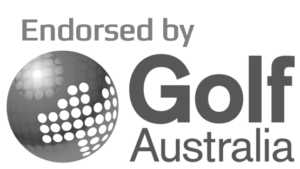 Accreditation is important for FootGolf Australia and for the development of the sport because accreditation is a source of income for the Association and it also guarantees all courses meet quality standards. So, what do you get when you get your Accredited FootGolf Course? Our team members have designed all accredited FootGolf courses in Australia and participated in international competitions in the Americas, Europe and Asia. The Australian Open FootGolf course is deemed as one of the best FootGolf courses in the world by one of the top 20 players in the world. We help you design a FootGolf course that is attractive for social players and can also be challenging for the competitive players. Our collaborative approach ensures the course is setup in a way that it does not interfere with the Golf course and additional course maintenance is not required. Receive worldwide recognition as an Accredited FootGolf Course under the Federation for International FootGolf (FIFG). One more reason to put your course on the map, attracting players and events from around the world. Expose your course to local, national and international audiences through social media and marketing campaigns tailored to your course. Belong to a large golf course network across the globe (+500) and enjoy the benefits of being part of one of the fastest growing sports on the planet. Get official FootGolf cups and covers developed and manufactured in Australia. FootGolf cup covers make the introduction of FootGolf go unnoticed by golfers and makes it safe to walk or drive over the FootGolf cups. Colonial Golf and FootGolf Course is a 9-hole course located in Sydney’s Western Suburbs (Werrington, NSW 2747). Traditionally known for having a relaxed atmosphere, Colonial GC is great for the golf novice, for junior golfers, for families and groups of casual social golfers. In June 2014, Colonial Golf Course decided to go ahead with FootGolf. At the time the course owners were trying to increase revenue and make the course more attractive to potential buyers. FootGolf at Colonial became very popular for social players, birthday parties and bucks parties. It also attracted football (soccer) clubs for pre-season or end of season sessions. There are currently 3 primary schools from the Werrington area offering FootGolf as one of their sports options with approximately 90 kids per week using Colonial FootGolf facilities. Bookings of groups of 60+ are not unusual. 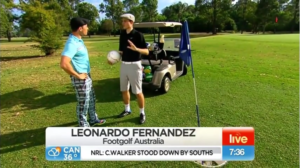 FootGolf also attracted media attention, with Sydney Weekender and Weekend Sunrise making stories on FootGolf in a course that never before had media coverage. All of these elements contributed to the success of FootGolf at the Colonial. The 5 players who represented Australia in the 2016 FootGolf World Cup in Argentina have Colonial GC as their home course. In June 2015 we received a request for information from Suzanne Paul (Board Member at Jamberoo Golf Club). Sue worked with the Board and visited Colonial Golf Course in Sydney's Western suburbs to have a closer look at FootGolf in action. By November the Board decided to give FootGolf a 6-month trial. The course - 9 holes initially - was designed in December and FootGolf was launched on 11 January 2016. 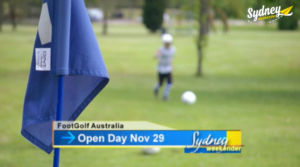 In May 2016, Jamberoo Golf Club hosted the First Australian Open FootGolf. This landmark event in the history of the sport was possible due to the effort of Jamberoo volunteers and members as well as the financial support received from Kiama Council. The course is recognised by one of the best players in the world, Matías Perrone, as one of the top 5 FootGolf courses in the world. By June 2016, FootGolf took $12,800 in green fees. After paying initial setup costs Jamberoo Golf Club had $7,400 profit for the first 6 months. After the 6-month trial and given the successful introduction of FootGolf, the board not only decided to continue offering FootGolf but they also decided to extend the course to 18 holes.